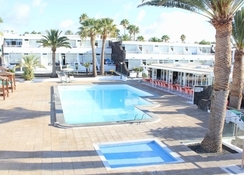 The Arena Dorada Hotel is situated by the popular Playa Fariones beach in the tourist resort of Puerto del Carmen, Lanzarote. A favourite among couples and families, this hotel offers 68 well-furnished apartments and 12 studios surrounded by lovely gardens overlooking a clear swimming pool. A golf course, an array of restaurants and a shopping centre are nearby, while the beach is only 2 minutes’ walk from the property. 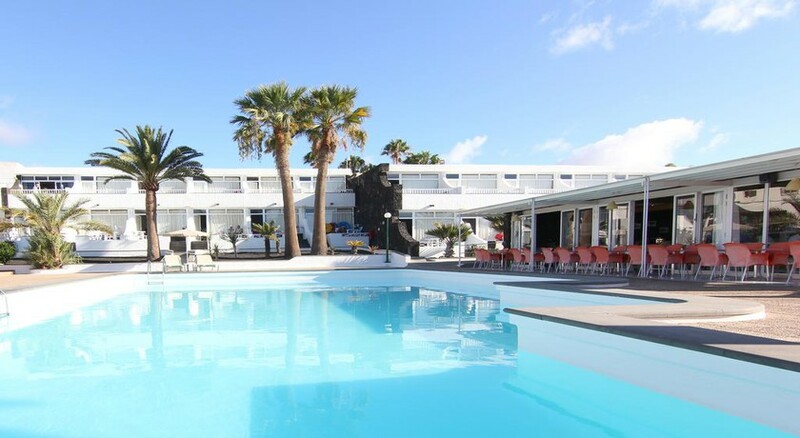 Just 5 minutes’ drive away from the Lanzarote Airport, this hotel offers a relaxing abode set amidst lush gardens. This is the perfect hotel that serves as a base to explore the nearby resorts and beaches such as Papagayo Beach, Montanas del Fuego, Jameos del Agua, etc. Set on the popular Playa Fariones beach in the tourist resort of Puerto del Carmen, Arena Dorada lies just 10km from the Lanzarote Airport. The beach is just 50m from the property and there are plenty of interesting water sports options available. For golf enthusiasts, the Lanzarote Golf Resort is located at a distance of 3km. The Rancho Texas Theme Park is 3km away. The Arena Dorada’s apartments are painted vibrantly with yellows and aquamarine blues with matching furnishings. There is private terrace looking out onto the garden or farther, where you can have leisurely chats and enjoy drinks. The rooms come equipped with a private bathroom with bath, fully equipped kitchen, satellite TV, safe, telephone and radio. The studios situated on ground floor have an additional living area. 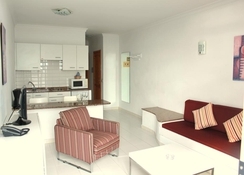 Apartments at Arena Dorada come with a fully furnished kitchen to enable the guests to cook their own food. But for those wishing not to cook there is a fantastic buffet restaurant serving Lanzarote cuisine as well as international delicacies. You can relax at its lovely bar with a relaxing drink. The neighbourhood is full of good cafes, bars and restaurants. 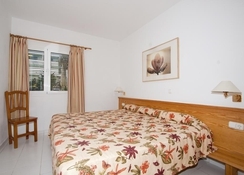 The Arena Dorada apartments have lush gardens surrounding them good for a leisurely stroll. Spend time at the beach trying out exciting watersports. There is an outdoor pool where you can relax with drinks from the poolside bar. The hotel also offers bicycles on hire. 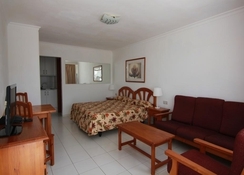 Trips to nearby resorts and beaches such as Papagayo Beach, Montanas del Fuego, Jameos del Agua, etc. can be arranged. Our stay was very peaceful and enjoyable, all the staff were friendly and helpful and helped us with any questions we had on places to go visit, or restaurants to eat at. it was an overall lovely stay.